The historic steam locomotive, Jurassic, built in 1903, will return to steam on the Lincolnshire Coast Light Railway in the Skegness Water Leisure Park, thanks to a grant of £43,600 from the Heritage Lottery Fund (HLF) it has been announced today (8th June 2016). 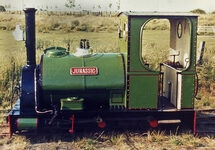 Jurassic will be able to operate public passenger trains on the two-feet gauge heritage railway, enabling the dedicated volunteers who operate it, to bring to life the story of how narrow gauge railways were able to reach remote rural areas before roads and modern motor vehicles were developed. Jurassic's story will also be told through interpretation boards, leaflets and a video to explain her significance. She is in the care of a charity, the Lincolnshire Coast Light Railway Historical Vehicles Trust, set up 35 years ago, to conserve and operate railway vehicles and locomotives associated with agricultural, military and seaside railways. 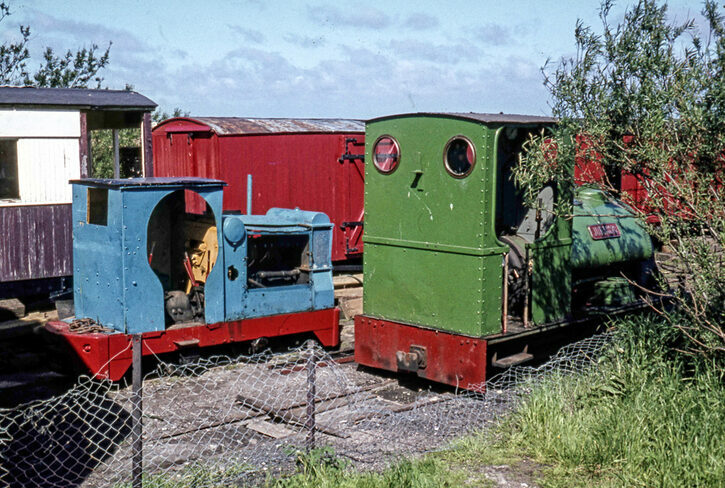 From early days on the Lincolnshire Coast Light Railway – built by pioneering enthusiasts in 1960 to link a bus terminus with the beach and holiday camps at Humberston, near Cleethorpes, using First World War trench railway equipment from the Nocton Estates Railway in the Lincolnshire Fens, the collection was moved to the Skegness Water Leisure Park in Walls Lane, Ingoldmells in 1995 and re-opened to the public in 2009. The volunteers who run the line – some of whom have been involved for more than half a century – knew that returning Jurassic to steam was crucial to creating wider public interest and involving more, younger people to develop the collection and learn the skills vital for the future. The boiler and firebox have already been moved to the North Norfolk Railway's workshops at Weybourne, near Sheringham, to assess their condition, so that the restoration can be completed as quickly as possible. The frames, cab, saddle tank and other fittings have been prepared for renovation at the LCLR's base in the Skegness Water Leisure Park. 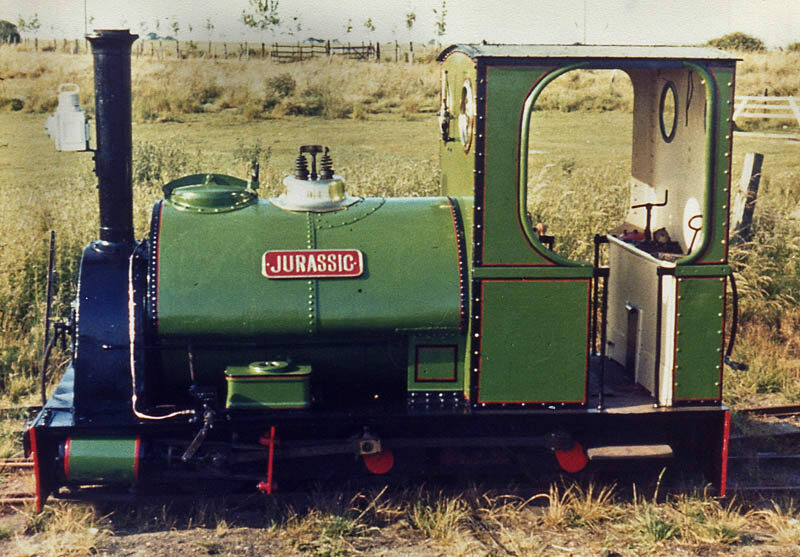 It is intended to have Jurassic in steam, operating public passenger trains, from next year (2017). The Trust's spokesman, John Chappell, said: “This is truly wonderful news – a game- changer in the development of our collection telling the little-known story of a form of transport, which changed the way we work and live in Lincolnshire and beyond. Having Jurassic in steam in the Park to take people for a ride on the Lincolnshire Coast Light Railway, will encourage far more people to become involved. 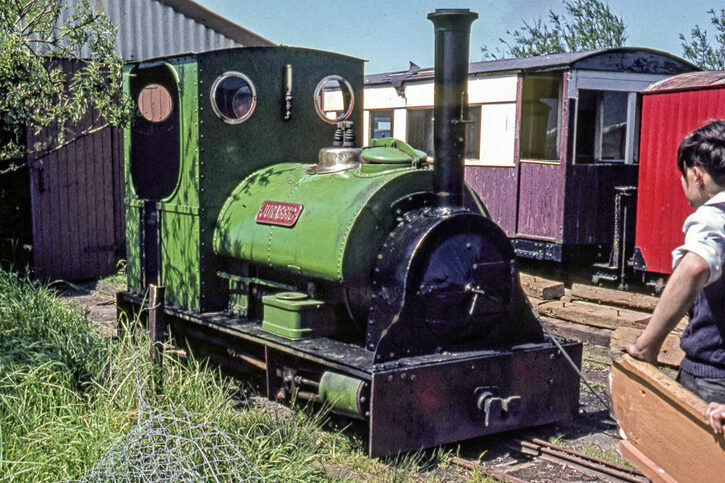 Jurassic is an 0-6-0 saddle tank (which means she has six driving wheels, with water carried in a saddle-shaped tank over the boiler), burns coal and runs on rails 60 cm (about two feet) apart. She was built in 1903 by the Bristol company of Peckett and Sons (their works number 1008) for a lime works at Southam in Warwickshire. She was sold to the LCLR in 1961 and until 1985, when the line closed on that site, hauled trains of holidaymakers. She's been awaiting overhaul since moving to the Skegness site ten years later. John Chappell added: “Her curvaceous lines, long elegant chimney, shiny brass dome and diminutive wheels, have always made her a great favourite with the public and her return to service is certain to earn her a whole new generation of fans”. "As part of the HLF requirement to get 'Jurassic back to Steam' we plan to produce some interpretation boards explaining how Narrow Gauge Railways developed. We have chosen a number of pictures that required us to get copyright to use them. We have been very pleasantly surprised at the kind offers made by many photographers. Even better, David Mitchell, a Director of the Talyllyn Railway has found these wonderful pictures of the railway in 1965. Many thanks to you all."